Good news Twilight fans, the third Twilight flick, Eclipse, will be on IMAX. Woo! Now you can see a five story high image of Edwardâs pasty white sparkly body! Why the hell they didnât make the first two movies on the IMAX is beyond me, they would have made even more money than they already did. 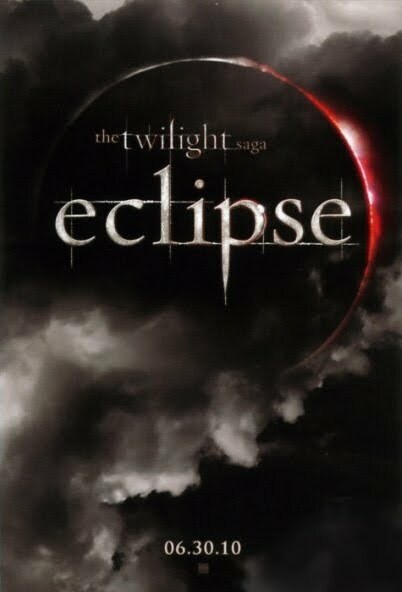 For those of you wondering, Eclipse is the third book/movie in the Twilight Saga. In Eclipse, Bella and Edward are back together, but their forbidden relationship is threatened to be torn apart yet again by the evil vengeance-seeking vampire, Victoria (and her new vampire army). Also, Bella is forced to choose between her true love Edward or her friendship with Jacob Black as the struggles between vampires and werewolves continues. But it doesnât end there, there is still another choice for Bella to make, mortality or immortality? Ba ba buuum! In my opinion this third movie will probably be the best, but hey, thatâs me. Also, if you havenât had enough Twilight movie news, check out this post on whatâs going on with the fourth movie, Breaking Dawn. This website rocked because I LOVE vampires! I love vampires! I LOVE THE TWILIGHT MOVIES N BOOKS!!!! BUT EVEN LOVE THE HOUSE OF NIGHT NOVELS! I CANT WAIT TO SEE ECLIPSE! !